A colleague and I are in the midst of an introductory training session about the Lean process improvement philosophy at Sheba Medical Center on the outskirts of Tel Aviv, Israel. 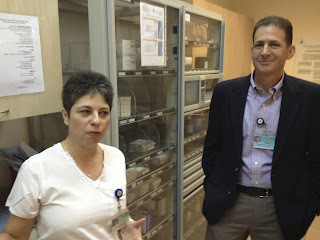 We were invited by Dr. Eyal Zimlichman, head of quality management for the hospital (seen here with Jessica Livneh, head nurse of the oncology outpatient unit.) As is often the case, we find highly committed, engaged staff and managers facing the usual assortment of hospital management problems. Their interest in the opportunities offered by Lean is palpable, but part of our job is to explain that adoption of this philosophy takes extensive time and effort. Our hope is that this session will give them a taste of the possibilities so they and their leaders can make a more informed decision about the path forward. We were honored to be joined by Boaz Tamir, Israel's Lean guru. You see him here with (from right to left--appropriately!) 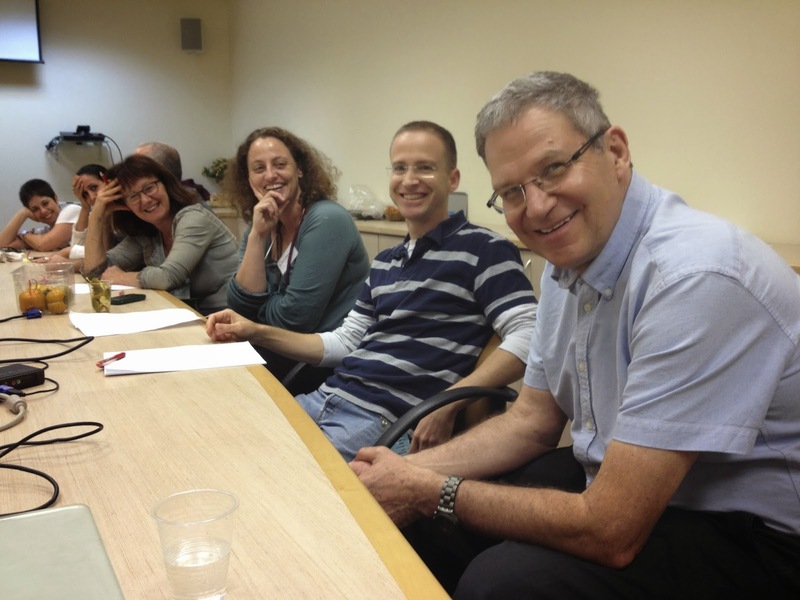 Yoav Shalem (pharmacist); Dr. Einat Shacham Shmueli (head of the oncology GI unit); and Miriam Adam (director of pharmacy services). Sweet to be mentioned. Thanks! What you can't do directly . . . It's time for NHS Change Day 2014 to begin. Dammit, take credit for the good! What's in a name? Not much, sometimes. Not to generalize, but . . .